I recently had the chance to sample a new restaurant in Cincinnati. 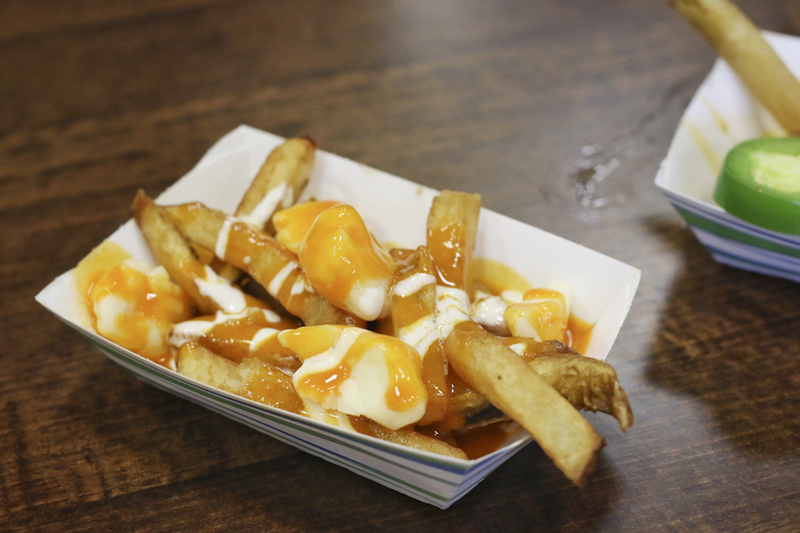 One that's redefining how to do french fries. French fries span the world in various incarnations. In the United States though, they’re most commonly found as a side dish. 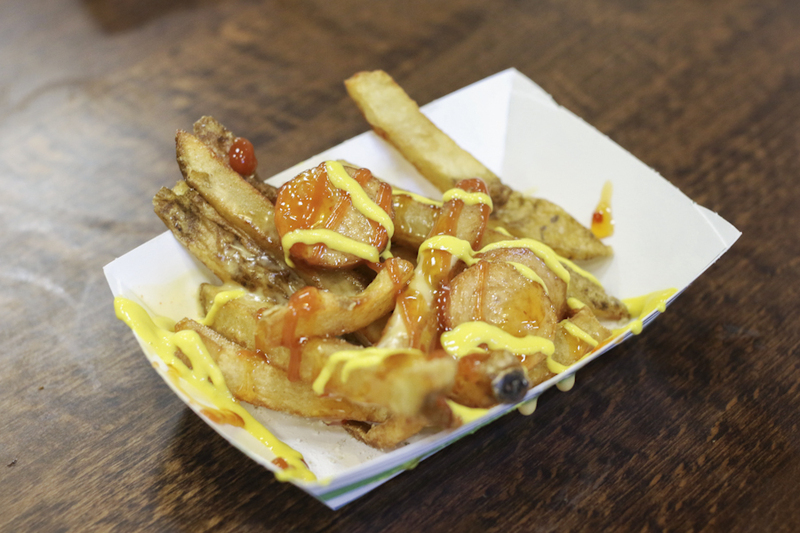 From fast food restaurants to upscale joints that give them a more refined designation, fries are typically found complementing the main course or underneath your car seat if they came from a drive-through window. 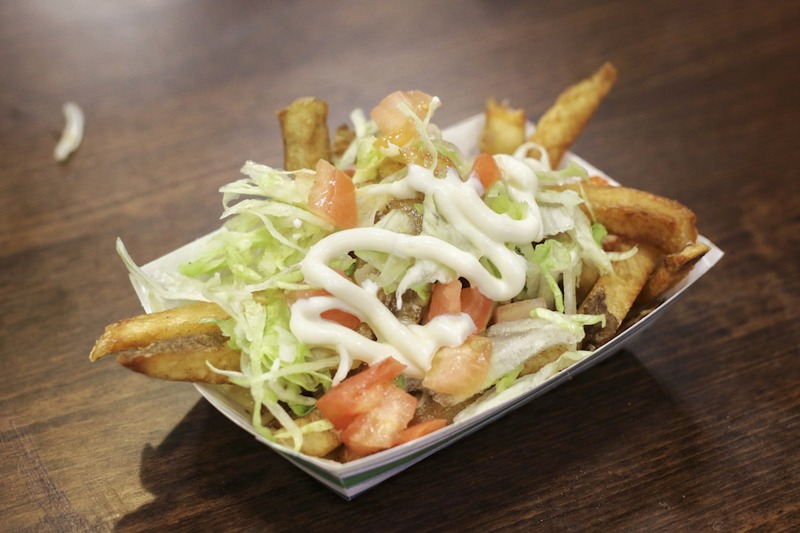 A new restaurant in Cincinnati is challenging that idea though, elevating the fry's traditional role as nothing more than a snack or secondary item and making it the centerpiece. 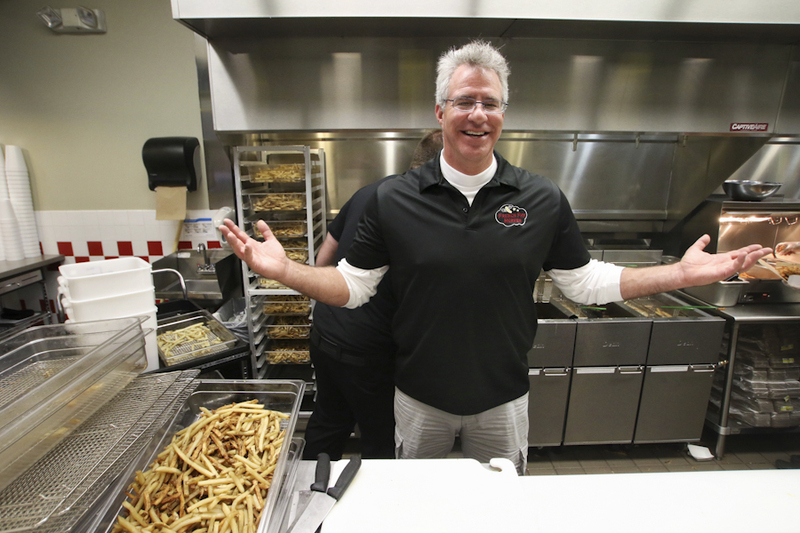 French Fry Heaven is the brainchild of Scott Nelowet, the "CEOFG" of the company. 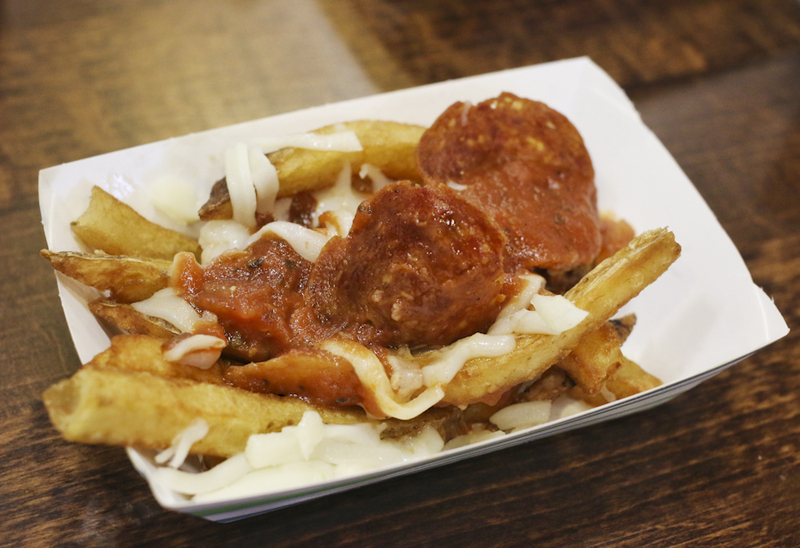 He was inspired by Europeans selling thick-cut, fried twice Belgian style fries with toppings other than just ketchup. The company launched in Jacksonville, Florida in 2011 and has been steadily expanding their concept ever since. 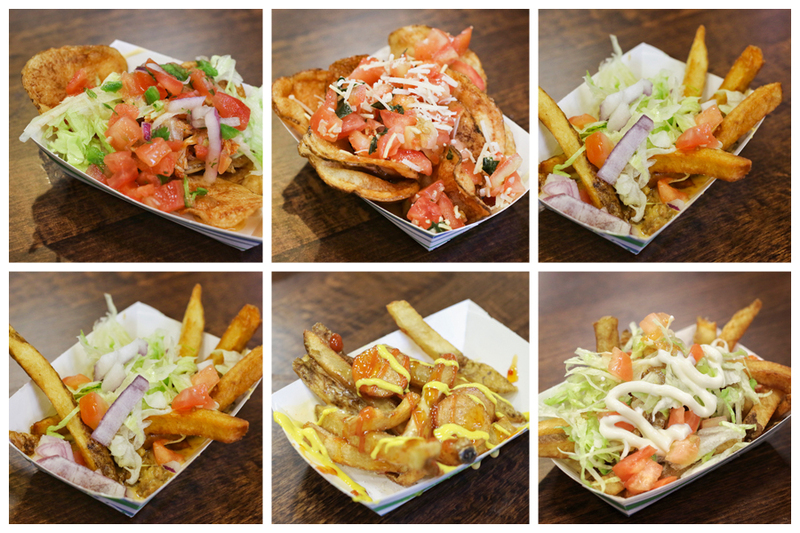 To date they have 11 locations across across ten states, the Cincinnati franchise being Ohio’s first. 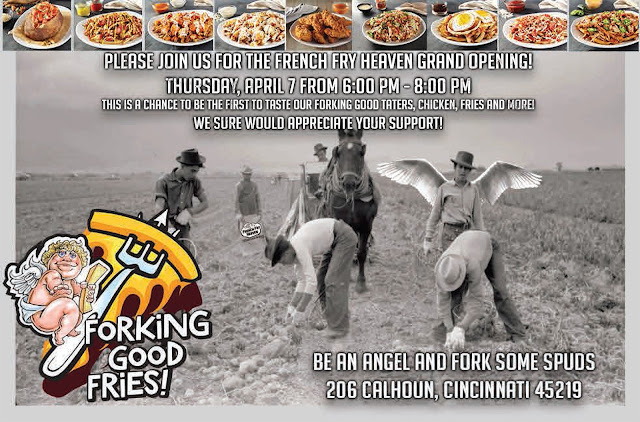 I'll admit, when I first received an email inviting me to a preview of French Fry Heaven before its grand opening, I was skeptical. These kind of “social media invites” go out all the time (and yes Panera, I still don’t care about your seasonal bagels) and I don’t consider myself a food critic. I’m not pretentious about my food. Locally I’ve had the pleasure of eating at Sotto and Boca, but I’m not above the Waffle House or a gas station hot dog. However, I was intrigued by the invitation. I’ve been a longtime fan of Skyline and Gold Star’s chili cheese fries, but they’re always a complement to a cheese coney (or two). 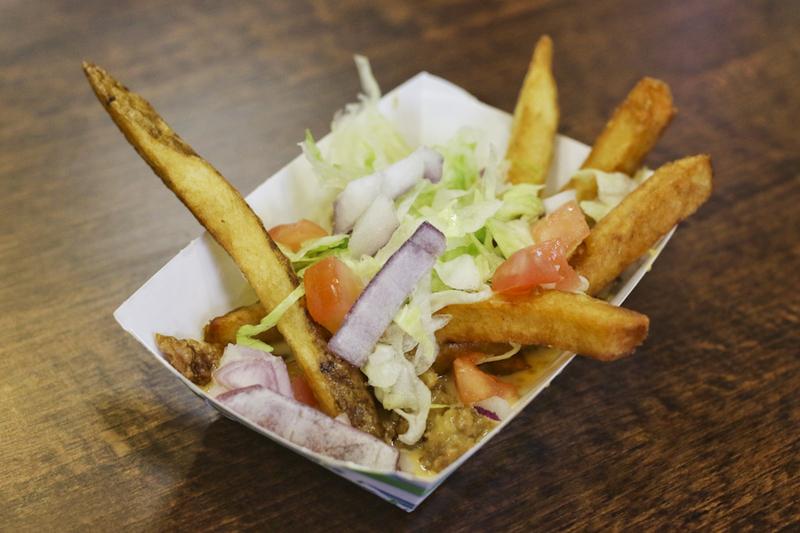 I liked the idea of french fries being the main focus and I always like the idea of something new coming to Cincinnati. I also read up on Scott and his story of founding the company. He seemed like a good guy. So I accepted the invitation and on April 6th, my girlfriend Laura and I found our way to French Fry Heaven on Calhoun St. for a preview of what they had to offer. The store occupies the former Five Guys location and has been redone. 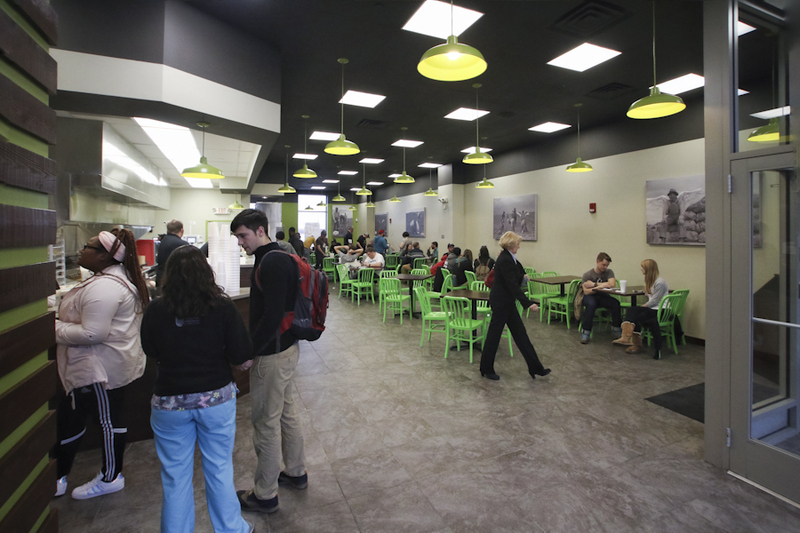 Lime green chairs pair with wooden tabletops and the kitchen is right up front with the customers. In many ways it's set up similar to other "fresh casual" restaurants such as Chipotle and Jimmy Johns. 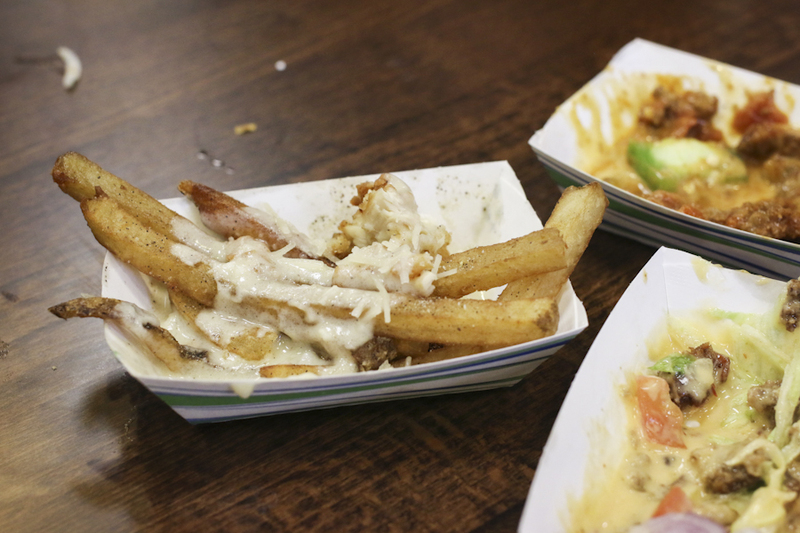 The menu on the wall offers up several pairings of french fries and toppings as well as a full vegetarian menu. Everything is made fresh (and it shows). 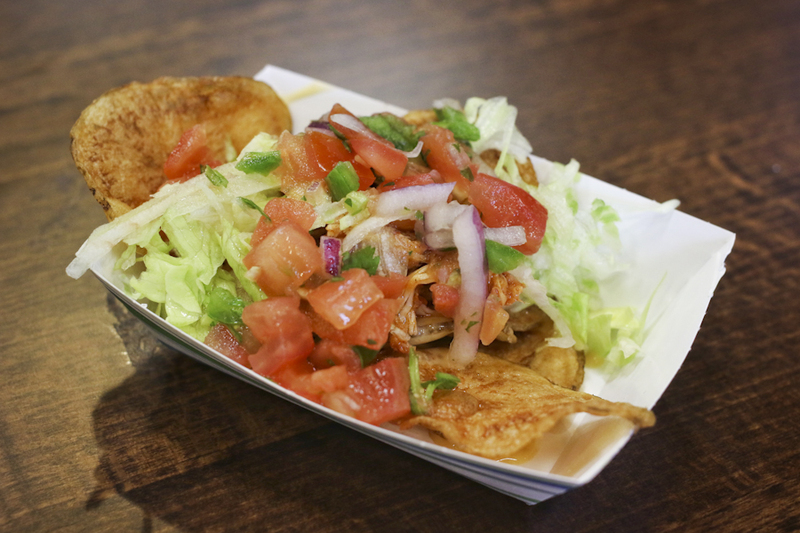 Any dish can also have fries substituted for chips or a baked potato and chicken fingers are also offered. 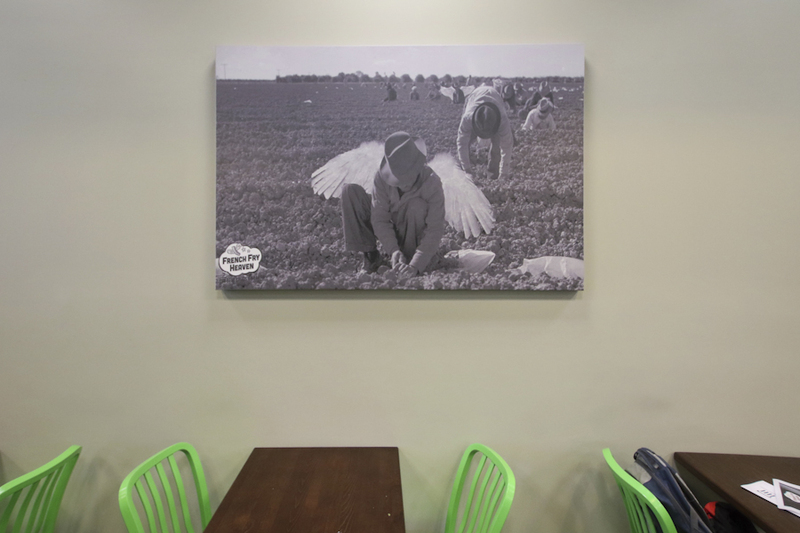 Hanging on the walls are images of potato farmers with angel wings on their backs. Laura and I met up with 5chw4r7z and Ms. 5chw4r7z. Scott introduced himself and warned us that the first round of guests had left in a food coma. A tall and friendly guy, you can tell Scott is incredibly passionate about the business he's created and the concept he's developed. He spent the entire evening kneeling down at tables and talking with everyone. Samples of the various dishes started rolling out and Scott even took care to make sure several vegetarian options landed at our table. 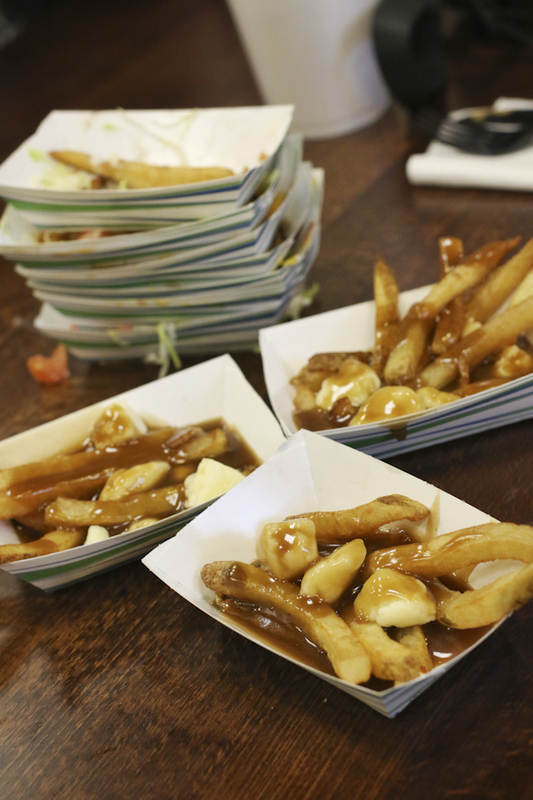 The last course to be sampled was dessert, which is unsurprisingly also comprised of french fries. 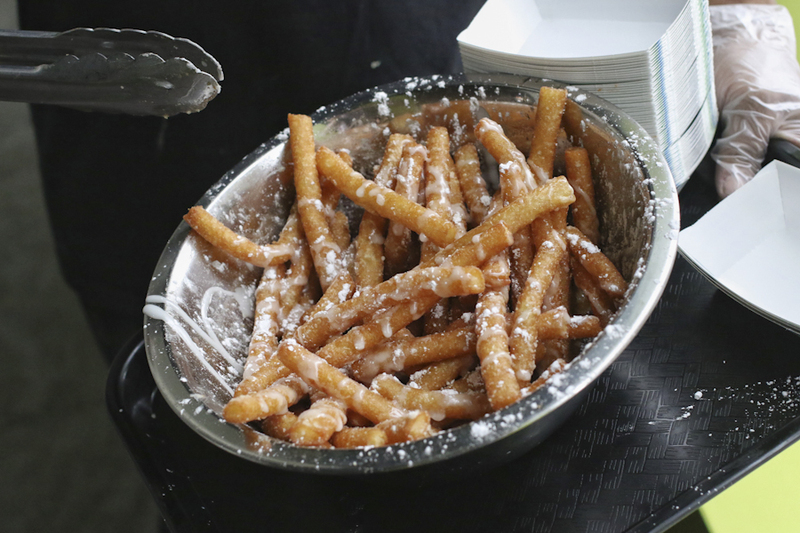 "Funnel Fries" combine the classic amusement park treat of Funnel Cake with the restaurant's centerpiece. To quote 5chw4r7z: "I'd probably never stop eating them if someone kept giving them to me." The final consensus was positive. 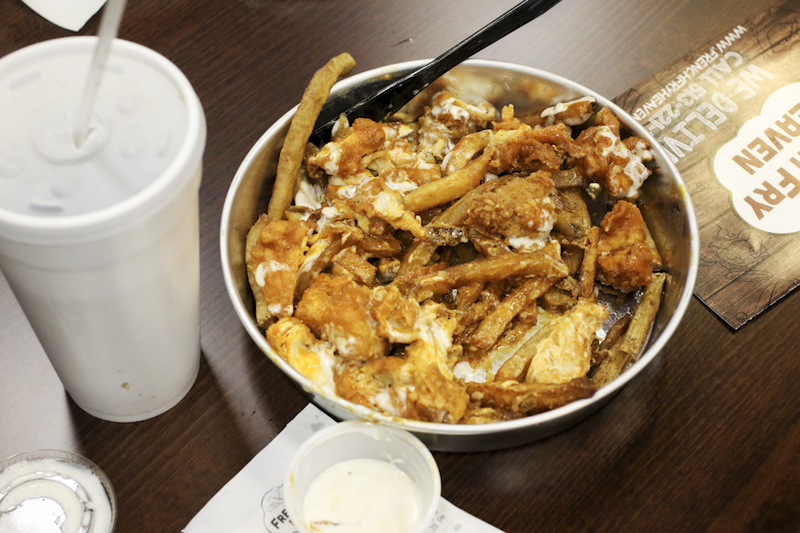 A bowl of french fries isn't something I could eat everyday, but what French Fry Heaven offers is unique. Although "Shepherd's Pie" and "Pizza" weren't my favorites, they were still good. 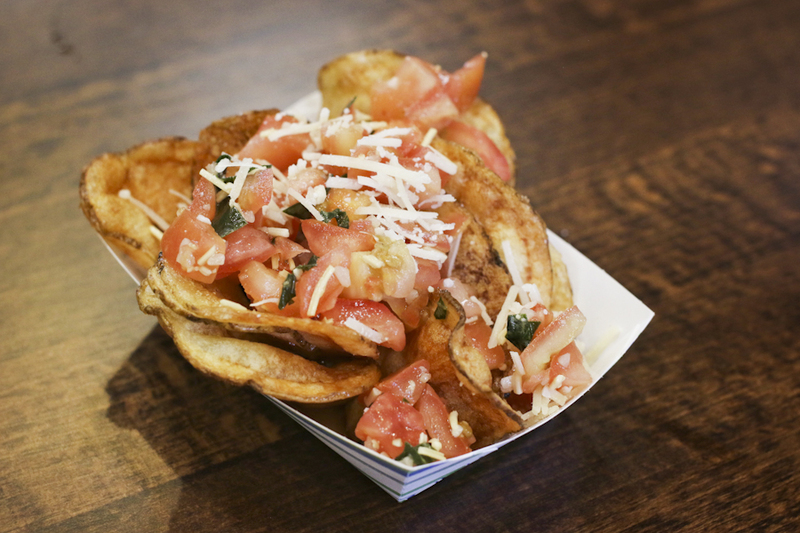 "The Ball Park," "Bruschetta," and "Cheeseburger" were near the top of my list. 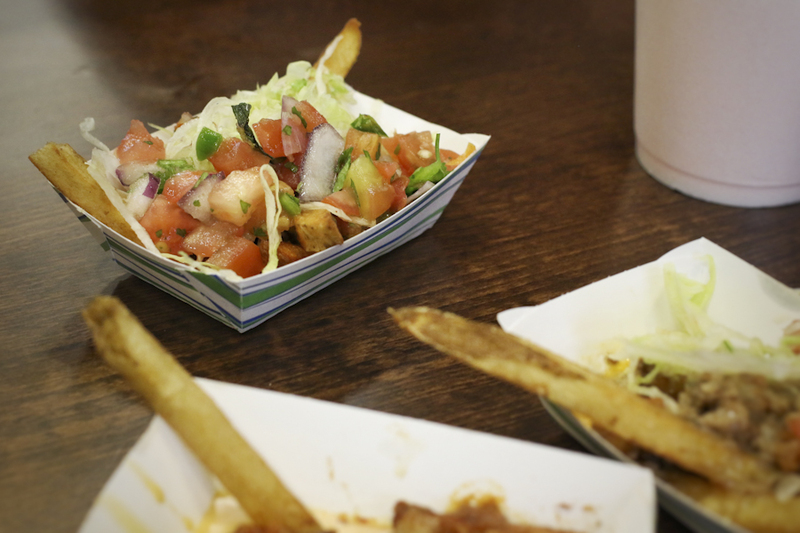 Then there's the "funnel fries" which are the French Fry Heaven's equivalent of delivered manna. Just beyond Nippert Stadium, I imagine that this place will become a favorite for those who've been enjoying the beer at UC Football games and FC Cincinnati matches. I appreciated that Scott had taken the time to truly connect with everyone in the place. Not only those of us who had been invited to the event, but every customer in the room. You can tell he genuinely enjoys what he does and the food he serves up is pretty damn good. His company is also committed to charity and accepts "anyone's belief or lack there of." Every company has a mission statement, but Scott proves that the last portion of his company's is heartfelt: "make a significant positive impact on the world." 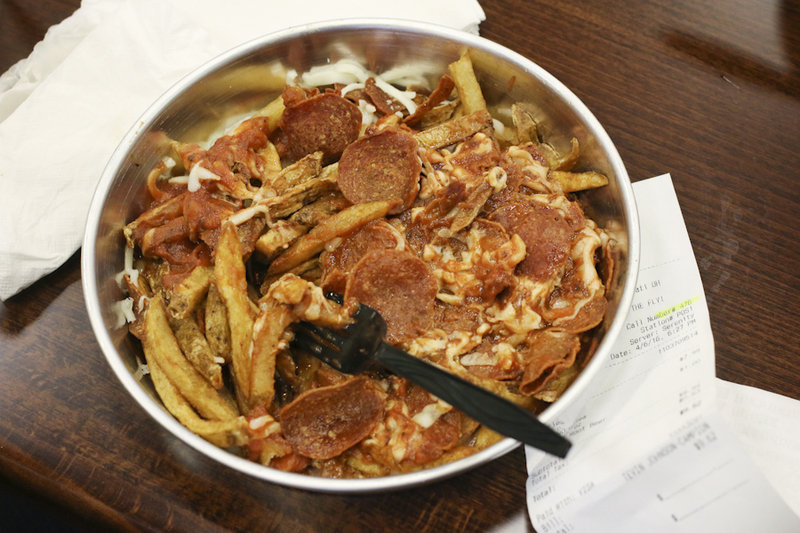 Sometimes, you just need a bowl of french fries. 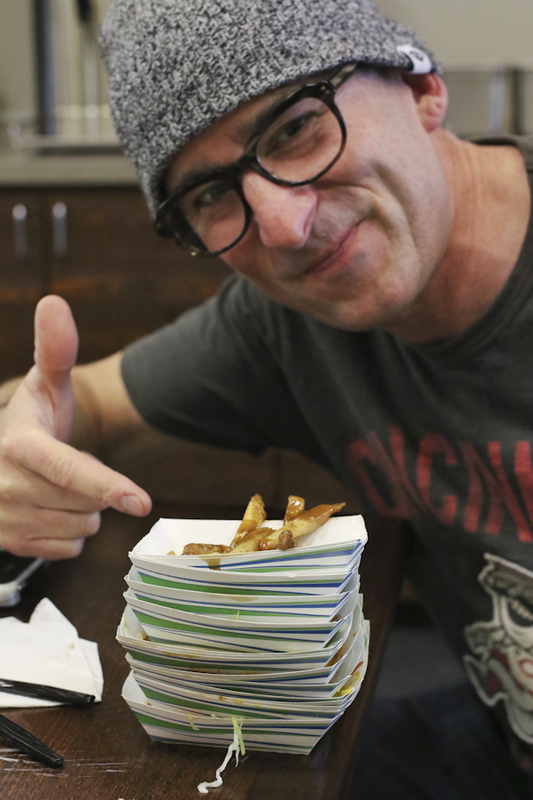 - Scott Nelowet, founder and CEOFG of French Fry Heaven. French Fry Heaven's Cincinnati location is located at 206 Calhoun St. Their website is here. "How many thieves does it take to ruin a restaurant? Well unfortunately we found out, as up until a few months ago, employee after employee stole money and supplies in so many different ways it was astounding, and inept management of the operations allowed it to happen. Here is the truly pathetic part, each of those total life losers stole hundreds and in some cases a couple thousand dollars (which I'm sure they've spent already). However had they not, we were going to grow from the Cincinnati store and add locations where they would have been managers, regional manager and more, making 10's of thousands more than they did when they were stealing. Picture that nice house, car, top schools that your family could have had and realize you stole it from them so you could stuff pennies in your pocket dishonestly. Now despite THE HONORABLE AND INCREDIBLE JOB DONE BY OUR LAST MANAGER JON LOWE AND HIS NEW TEAM trying to clean up the mess they inherited, the writing was already on the wall. So congrats to the loser thieves, you insured yourself a life of scratching and scraping to get by, cost all the people, including yourselves, who would have benefited from this company growing from Cincinnati and left us no alternative but to grow from somewhere else. We apologize to the wonderful, incredible, loyal customers in Cincy, but as of today the store in Cincinnati is closed. We will be growing from New Jersey instead. My manager and I were in tears over this. We put are hearts and souls into that locations, paid a higher wage then almost anywhere else and were treated so incredibly well by UC! Wave after wave of hires stole food, money, cheated, etc., until we just couldn't bleed anymore. You are losing a restaurant. We are losing our dreams and livelihoods." This looks pretty good. I will have to try them next time I'm down that way.